This intensive is Friday-Sunday, from 10am to 5pm each day, with a lunch break (lunch not included). Cost for this three-day intensive is $400. We have reserved nearly a third of spaces at scholarship rates. These are on a first-come first-served basis and especially designated for historical disadvantaged groups. Please select the option that best fits your needs. Installment plans are available for each option using PayPal or credit card. 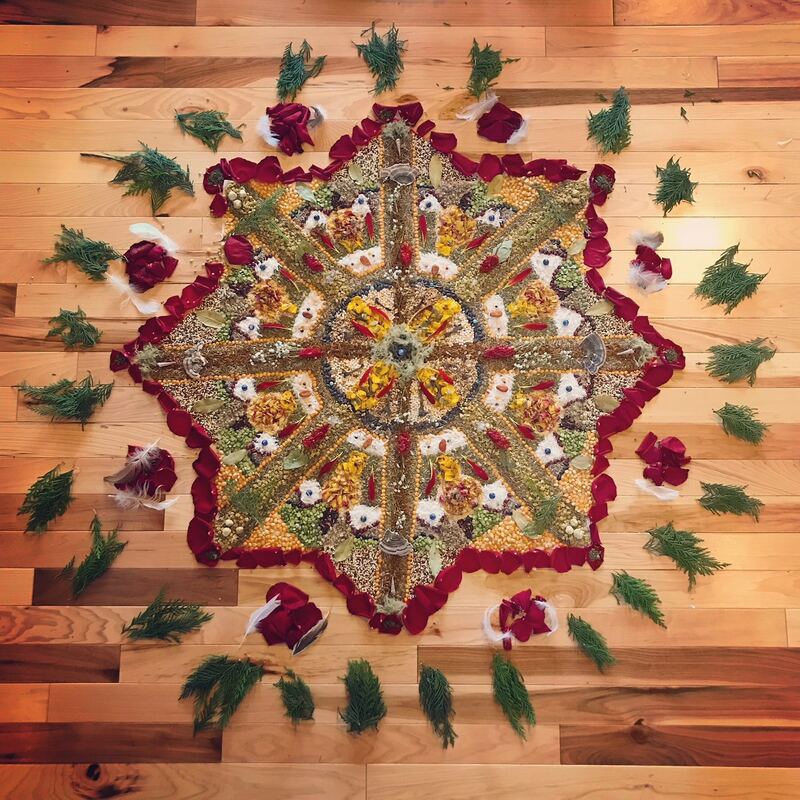 Shannon Willis, M.Ed (Athens, GA) is a ritual healing practitioner, teacher and founder of Heart Path Studio, a non-profit organization in Athens which aims to create a new folk culture of relating with the unseen world through the convergence of animistic and shamanic principles. Having made a pilgrimage to Nigeria, she is a committed student in the Ifa/Orisa tradition of Yoruba-speaking West Africa in the lineage of Olúwo Fálolú Adésànyà, She holds a Master’s degree in Professional Leadership and Counseling. Committed to Earth-honoring, individual and collective healing, she is a certified practitioner of Ancestral Lineage Healing. Her work addresses the cultural wounding of the feminine through patriarchy and focuses primarily on supporting others with their blood lineage ancestors and healing of the collective other unhealed ones through land-based ritual. She provides individual sessions, online and in-person workshops. Her ancestors hail from the British Isles, France, and Cherokee, Chickasaw, and Choctaw nations. For more info see: www.redearthhealing.org. We acknowledge this event is taking place on the traditional lands of Shawnee, Cherokee, and Chickasaw peoples. Folks whose ancestors are indigenous to this area are welcome to join this event by donation or gifting. We encourage participants to become educated on the history of the land and to support local Native organizations. Facebook event can be found here for sharing.